The Sprout snowshoe is the perfect tool to instill a love of winter from an early age. With the fun snowflake and Atlas footprints left in the snow with each step, the boys’ and girls’ Sprout and Mini snowshoes are the perfect tools to instill a love of winter from an early age. 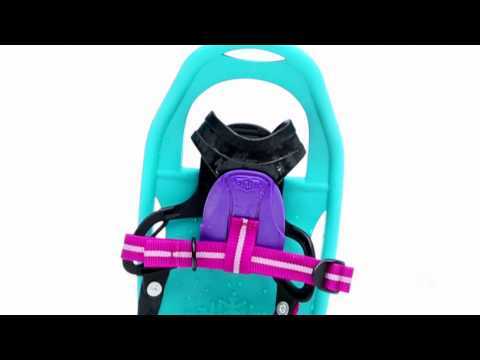 The easy-to-use Grom binding delivers a comfortable, secure fit, and the bindings’ heel strap design means parents spend less time kneeling in the snow. The Snowflake Molded Traction accompanies the steel toe crampon to give the Sprout 17 and Mini 17 excellent grip without excess metal, and your kids will love the snowflake and Atlas stamps left in the snow.